￼LEARN, BUILD, GROW We recently had a tool theft in our community workshop. 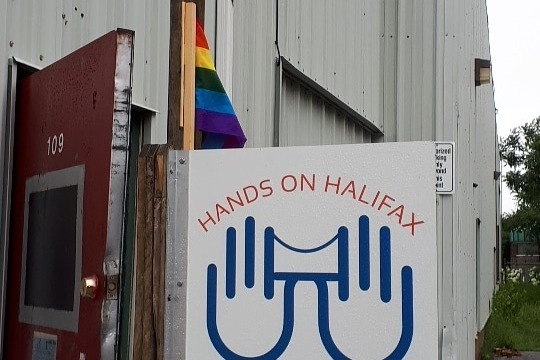 We are asking for assistance to help move into our new location at 3660 Commission Street, Halifax, NS. Your help will assist in on going expenses such as sandpaper, nails, and other accessories of our power tools. Pipe clamps, glue, shop rags, etc. We are run by volunteers who have full time employment and make time during open hours to help other experience sawdust therapy. Thank you for a great start. We had a donation of glue, and money from donations so far will be to get 10 inch table saw blades sharpened.